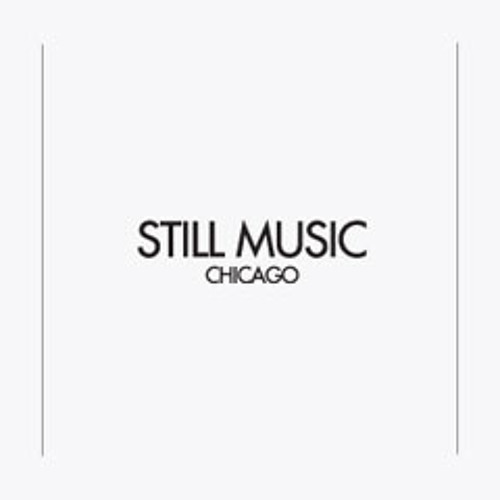 Still Music is based in Chicago, IL, and is the brainchild of Jerome Derradji. Now in its seventh year, Still Music has been instrumental in the worldwide proliferation of some of America’s freshest underground dance music. From raw disco to beautiful, refined techno, and stopping at every tempo and mood between and beyond, Still Music and its sublabels Past Due and Love For Music have found room to include artists both established and new, releasing what can only be described as GOOD music. This is the natural way of working for Mr. Derradji, who moved to the US in 2000 and cut his teeth working with various record shops and electronic music distributors in Chicago. He decided to launch Still Music in 2004, with the inaugural release featuring Amp Fiddler from Detroit remixing Patchworks from France. With this template set, Still Music went on to release music from veteran dance producers such as Rick Wilhite and Gerald Mitchell, while also stretching out into other genres on Randolph’s “Lonely Eden” album and Seun Kuti’s political afrobeat on “Think Africa”. Still also dropped the In The Dark compilation, showcasing the then-emerging Detroit house sound and featuring the production debut of Keith Worthy, which was touted as Groove Magazine’s #1 release the month it came out. These credentials have earned Still Music “Label of the Month” status in XLR8R magazine and on leading dance music site Resident Advisor. Not satisfied with Still Music’s impressive breadth and depth, Jerome also launched two highly successful sublabels to compliment the main label. Past Due records is the place for long-forgotten independent disco and funk gems to be unearthed, reissued, and remixed by modern producers, bringing artists like DIT and Greyship Daviz into the spotlight they (wrongfully!) never achieved the first time around. Love For Music (also known as Stilove4music) is the label dedicated to more underground sounds, from disco edits to lo-fi house and techno madness.